The Versele Laga Colombine Grit + Redstone Pigeon Supplement is a washed and sterilised mixture of gastric grinding stones, silex-stones, oyster shells, sea shells, redstone, charcoal and aniseed. Gastric grinding stones and silex-stones are the pigeon's teeth. This supplement helps to provide optimal digestion and produce solid droppings. Administer all year round. Make available in a separate tray and refresh daily. 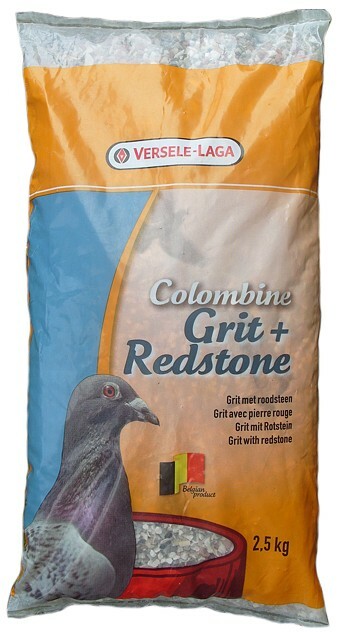 There are currently no questions for Versele Laga Colombine Grit + Redstone Pigeon Supplement - be the first to ask one!